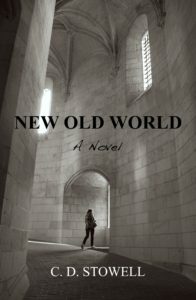 The novel New Old World by C. D. Stowell will be published in December 2016 as a Smashwords e-book title. It will be available at smashwords.com in the EPUB and MOBI (Kindle) formats, as well as at iBooks, Barnes & Noble, Kobo, and many other retailers. I’m in the final stages of editing and formatting, so stay tuned!